Peter Druschel is the institute's founding director and leads the distributed systems research group. He is also an Adjunct Professor at Saarland University and at the University of Maryland, and a Principal Investigator in the Center of Excellence in Multimodal Communication and Interaction (MMCI). 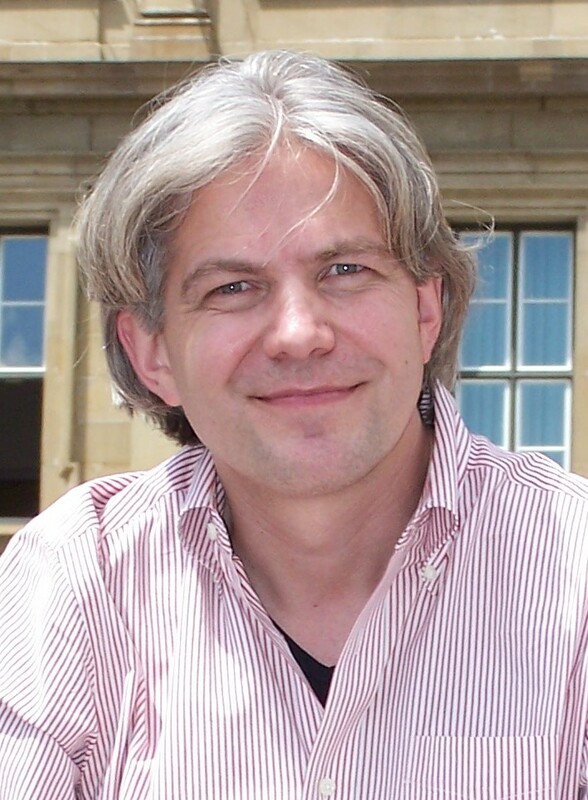 Prior to joining the MPI-SWS in August 2005, Peter was a Professor of Computer Science at Rice University in Houston, TX. He also spent time with the Laboratoire d'Informatique de Paris 6 (LIP6) (May-June 2000, June 2002), Microsoft Research Cambridge, UK (August-December 2000), and the PDOS group at the MIT Laboratory for Computer Science (January-June 2001). Peter received an NSF CAREER Award (1995), an Alfred P. Sloan Fellowship (2000), the SIGOPS Mark Weiser Award (2008), a Microsoft Research Outstanding Collaborator Award (2016), and the EuroSys Lifetime Achievement Award (2017). He chaired the program committees of SOSP, OSDI, NSDI, and EuroSys. He served on the editorial boards of the Communications of the ACM (CACM), the Royal Society Open Science Journal, and the ACM Transactions on Computer Systems (TOCS). Peter is a member of the Academia Europaea and the German Academy of Sciences Leopoldina. Peter's research interests are in understanding, designing and building computer systems. In the past, he has worked on operating systems, network services, peer-to-peer systems, and accountable distributed systems. Currently, he is interested in practical techniques to make distributed and mobile systems secure, compliant, privacy-preserving. Compliant data processing systems. We develop techniques to ensure compliance with declarative data use policies in distributed data processing environments. iPic: Digital capture privacy. We develop technology that seeks to reconcile ubiquitous, spontaneous image capture with bystander privacy. EbN: Private, secure communication for mobile social apps. We developed a private, secure, and power-efficient communication platform to support mobile social apps. Much of the group's current work is supported by a European Research Council (ERC) Synergy Project: imPACT: Privacy, Accountability, Compliance and Trust in Tomorrow's Internet. SeCloak: ARM TrustZone-based Mobile Peripheral Control. Matthew Lentz, Rijurekha Sen, Peter Druschel, Bobby Bhattacharjee. In Proceedings of the Sixteenth International Conference on Mobile Systems, Applications, and Services (MobiSys 2018). Munich, Germany, June 2018. Sonoloc: Scalable positioning of commodity mobile devices. Viktor Erdélyi, Trung-Kien Le, Bobby Bhattacharjee, Peter Druschel, Nobutaka Ono. In Proceedings of the Sixteenth International Conference on Mobile Systems, Applications, and Services (MobiSys 2018). Munich, Germany, June 2018. Qapla: Policy compliance for database-backed systems. Aastha Mehta, Eslam Elnikety, Katura Harvey, Deepak Garg, Peter Druschel. In Proceedings of the 26th USENIX Security Symposium (USENIX Security '17). Vancouver, CA, August 2017. Light-weight Contexts: An OS Abstraction for Safety and Performance. James Litton, Anjo Vahldiek-Oberwagner, Eslam Elnikety, Deepak Garg, Bobby Bhattacharjee, Peter Druschel. In Proceedings of the 12th USENIX Symposium on Operating Systems Design and Implementation (OSDI '16). Savannah, GA, November 2016. Thoth: Comprehensive policy compliance in data retrieval systems. Eslam Elnikety, Aastha Mehta, Anjo Vahldiek-Oberwagner, Deepak Garg, Peter Druschel. In Proceedings of the 25th USENIX Security Symposium (USENIX Security'16). Austin, TX, August 2016. I-Pic: A Platform for Privacy-Compliant Image Capture. Paarijaat Aditya, Rijurekha Sen, Seong Joon Oh, Rodrigo Benenson, Bobby Bhattacharjee, Peter Druschel, Tongton Wu, Mario Fritz, Bernt Schiele. In Proceedings of the Fourteenth International Conference on Mobile Systems, Applications, and Services (MobiSys 2016). Singapore, June 2016. Privacy Capsules: Preventing Information Leaks by Mobile Apps. Raul Herbster, Scott DellaTorre, Peter Druschel, Bobby Bhattacharjee. In Proceedings of the Fourteenth International Conference on Mobile Systems, Applications, and Services (MobiSys 2016). Singapore, June 2016. Herd: A Scalable, Traffic Analysis Resistant Anonymity Network for VoIP Systems. Stevens Le Blond, David Choffnes, William Caldwell, Peter Druschel, Nicolas Merritt. In Proceedings of ACM SIGCOMM 2015 Symposium (SIGCOMM 2015). London, UK, Aug 2015. Guardat: Enforcing data policies at the storage layer. Anjo Vahldiek-Oberwagner, Eslam Elnikety, Aastha Mehta, Deepak Garg, Peter Druschel, Rodrigo Rodrigues, Johannes Gehrke, Ansley Post. In Proceedings of the ACM European Conference on Computer Systems (EuroSys 2015). Bordeaux, France, April 2015. SDDR: Light-Weight, Secure Mobile Encounters. Matthew Lentz, Viktor Erdélyi, Paarijaat Aditya, Elaine Shi, Peter Druschel, Bobby Bhattacharjee. In Proceedings of the 23rd USENIX Security Symposium (USENIX Security'14). San Diego, CA, Aug 2014. EnCore: Private, Context-based Communication for Mobile Social Apps. Paarijaat Aditya, Viktor Erdélyi, Matthew Lentz, Elaine Shi, Bobby Bhattacharjee, Peter Druschel. In Proceedings of the Twelfth International Conference on Mobile Systems, Applications, and Services (MobiSys 2014). Bretton Woods, NH, Jun 2014. Beyond Access Control: Managing Online Privacy via Exposure. Mainack Mondal, Peter Druschel, Krishna P. Gummadi, Alan Mislove. In Proceedings of the Workshop on Usable Security (USEC 2014). San Diego, CA, Feb 2014. Peer-assisted content distribution in Akamai NetSession. Mingchen Zhao, Paarijaat Aditya, Ang Chen, Yin Lin, Andreas Haeberlen, Peter Druschel, Bruce Maggs, Bill Wishon, Miroslav Ponec. In Proceedings of the ACM/Usenix Internet Measurement Conference (IMC 2013). Barcelona, Spain, October 2013. Towards Efficient Traffic-analysis Resistant Anonymity Networks. Steven Le Blond, David Choffnes, Wenxuan Zhou, Peter Druschel, Hitesh Ballani, Paul Francis. In Proceedings of ACM SIGCOMM 2013 Symposium (SIGCOMM 2013). Hong Kong, China, Aug 2013. Students: Roberta De Viti, Viktor Erdélyi, James Litton, Aastha Mehta, Richard Roberts. I've had the immense pleasure of collaborating with outstanding colleagues over the years, including my institute colleagues, Bobby Bhattacharjee, Miguel Castro, Bruce Davie, Norm Hutchinson, Anne-Marie Kermarrec, Bruce Maggs, Petros Maniatis, Jeff Mogul, Eugene Ng, Larry Peterson, Jennifer Rexford, Rolf Riedi, Rodrigo Rodrigues, Marc Shapiro, Elaine Shi, Devika Subramanian, Ion Stoica, Timothy Roscoe, Ant Rowstron, Dan Wallach, Hui Zhang, Willy Zwaenepoel. Our research is currently supported by the Max Planck Society, the European Research Council (ERC), the German Science Foundation (DFG), the Federal Ministry of Education and Research (BMBF), and Google.